Select Size: ---Choose Size--- 70" round 60" x 90" 60" x 104"
It looks like lacy, white fabric, but it's carefree vinyl! 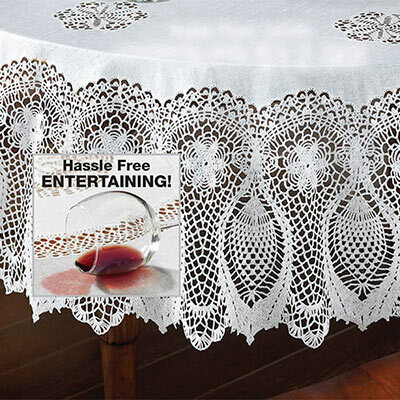 Great for family meals, this Faux Lace Tablecloth wipes clean easily and, best of all, it resists stains. Imported.